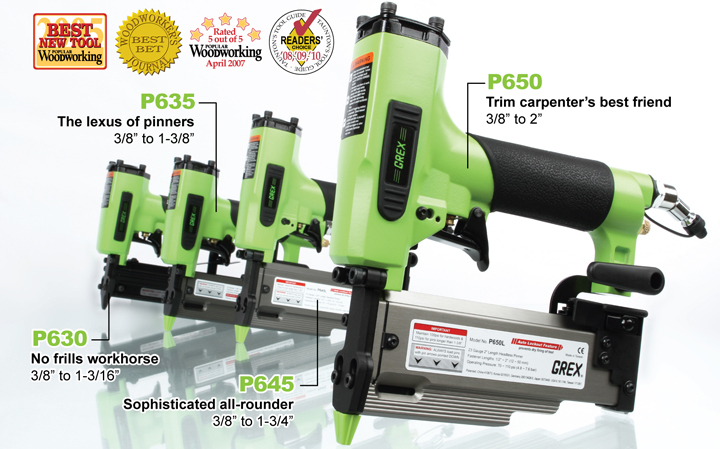 When you choose a Grex pinner, you're investing in a better built, longer lasting, more powerful tool with the best considered set of features and ergonomics. It's the same award-winning robust build quality that users have trusted in GREX tools for over 10 years. And every new GREX pinner adds innovations that enable you to do more, easier and faster. The difference really is in the details, so browse through these pages to learn how GREX precision crafted tools just work better and longer for you. Now explore.